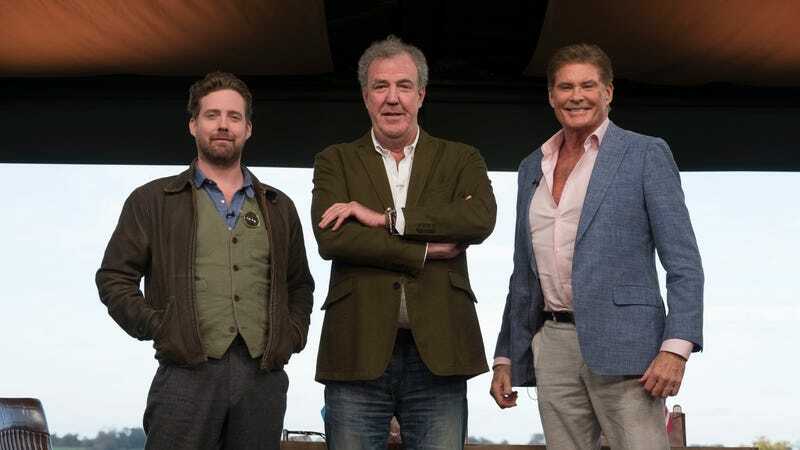 The tent isn’t traveling and neither is Mike Skinner, but celebrities will be back on the second season of The Grand Tour, according to Amazon. The list includes, Luke Evans, Kiefer Sutherland, Hugh Bonneville, Kevin Pietersen, Dominic Cooper, Dynamo, Rory Mcllroy, Michael Ball, and Alfie Boe. I think I’ve heard of roughly 60 percent of them. The celebrities will appear in what the show is calling Celebrity Face Off, in which famous people “connected in some unusual way” will race each other on a track. The segment seems to be a replacement for last season’s Celebrity Brain Crash, in which actors appeared for short segments before they inexplicably “died,” by way of explaining why they weren’t on the rest of the show. 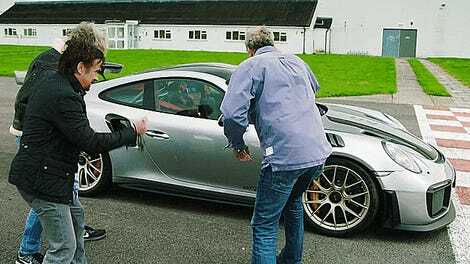 That whole segment, never the most loved part of The Grand Tour, was apparently created in response to legal threats from the BBC, lest The Grand Tour’s celebrity bits be too much of a copy of Top Gear’s Star In A Reasonably Priced Car. All of which is to say that the celebrities on this season of The Grand Tour (probably!) won’t be dying. They’re even going to drive a car or two. The first segment will feature The Hoff, of course. He will race Ricky Wilson, who used to be a coach on The Voice UK and is also a singer in a band called Kaiser Chiefs. The press release did not explain how The Hoff and Wilson are connected, but it’s fair to say that we’re probably all connected to The Hoff in some unusual way. The new season premieres on Dec. 8.